Enjoying a Turkish McDonald meal together. 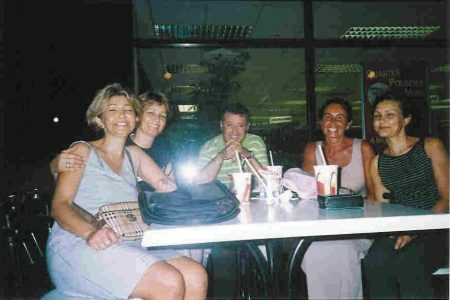 Left to right Shengul, Shengul's sister Birgul, Shengul's husband Semih, Nicole and Selda. Out on the town with our Turkish friends. 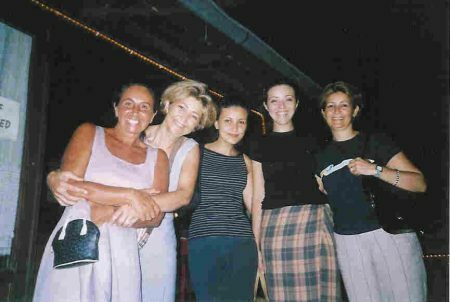 Left to right Nicole, Shengul, Selda, Shengul's daughter Burcin and Shengul's sister Birgul. Celebrating Erdal and Sevil's wedding anniversary in Kevin's Bar. 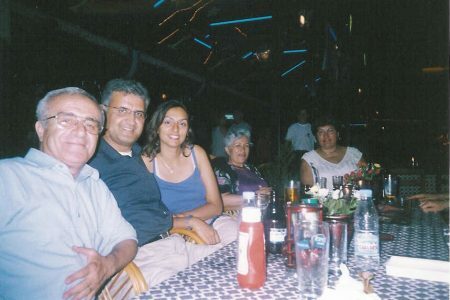 Left to right Oktay, Hasan, Zerha, Oktay's wife and Zerha's mother. Celebrating Erdal and Sevil's wedding anniversary in Kevin's Bar. 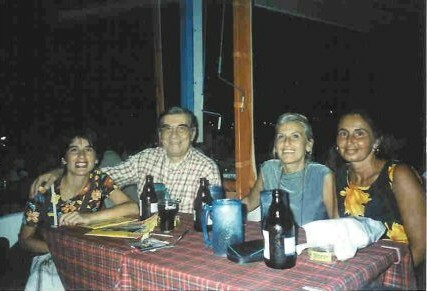 Left to right Erdal, Sevil, Zeliha and Nicole. 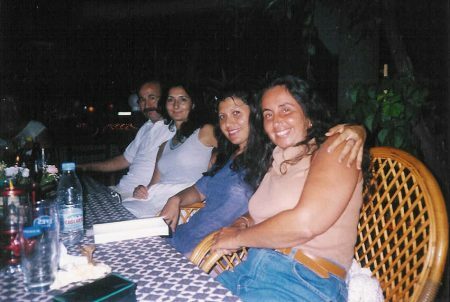 Ahu, Tunc, Alev & Nicole. Everyone enjoys an Efes Beer while Nicole chooses a fruit juice. 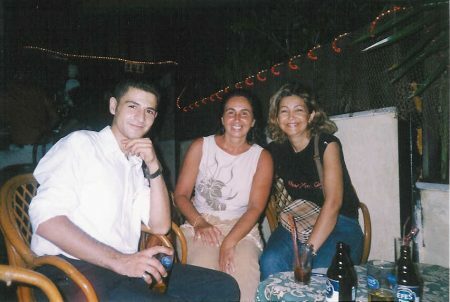 Hasan, Nicole & Shengul enjoying a cool drink in Kevin's Bar on a warm evening.